Sparkling Rosé Sangria by: Botella & Co. 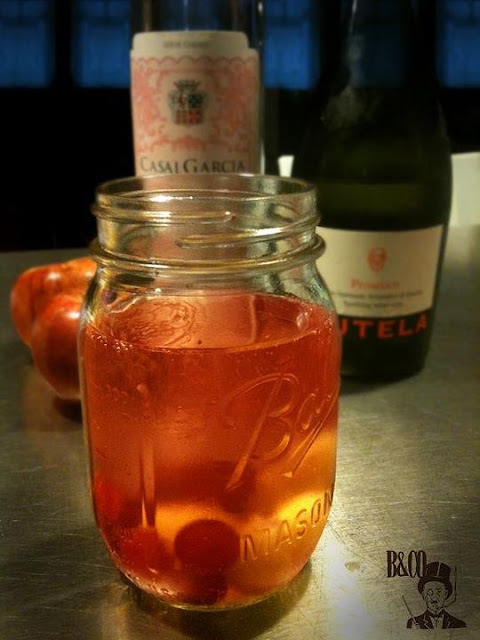 Here is an AMAZING sounding Rosé Sangria from Botella & Co. that I had to share. It promises to make any summer afternoon a little more special! Enjoy! Fill a large glass pitcher halfway with ice; add fruit. Tilt pitcher and pour the prosecco very slowly down side (to preserve bubbles). Add juice, vinho verde rose and liquor; stir gently. Stir in mint. This festive bubbly cocktail offers the antioxidant resveratrol, which may help reduce inflammation and protect cells from damage. Cheers... I can not wait to try it! Big thanks to Alessandro @ Botella & Co for sharing!